James “Jim” Russell Dougan of Grace Village Retirement Community, Winona Lake, Indiana passed away at 11:11 p.m. on Sunday, November 11, 2018 at Lutheran Hospital of Fort Wayne, Indiana at the age of 80. He was born in Princeton, Indiana on December 15, 1937 to Gladys Ella (Skinner) Dougan and Raymond Edgar Dougan. On June 6, 1964 he was married to Nancy Crews (Parrott) Dougan, who survives. Jim was a 1956 graduate of Oakland City High School in Oakland City, Indiana. He continued his education at Oakland City College, graduating in 1960 receiving his B.S. in English and Social Studies, and later earned his Masters in English as well as in Education. He taught countless students over his 33 year teaching career. He taught fourth grade through high school, with the last 18 years teaching the fourth grade at Madison Elementary School in Warsaw, Indiana. Jim was very generous with his time and talent with many students. He was a very musical person, loved to sing and could play both the piano and organ for church services, weddings and funerals. In his later years he would play and entertain the residents at various nursing homes. 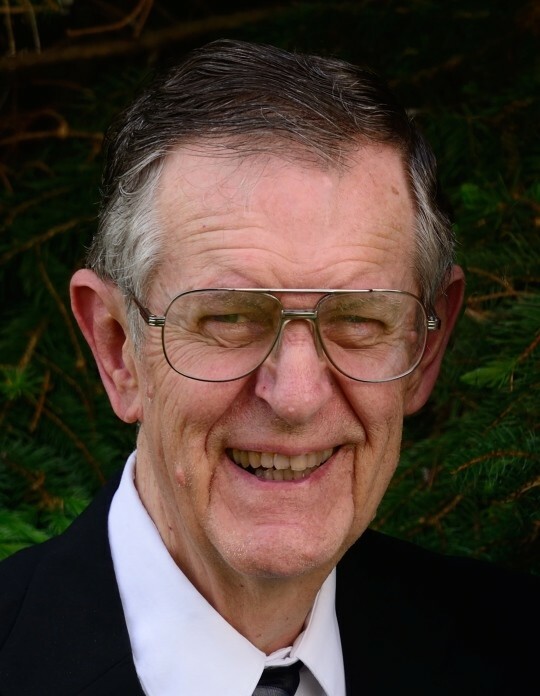 Jim was a resident of Kosciusko County, Indiana for the past 39 years and was a longtime member of Winona Lake Grace Brethren Church and will be dearly missed by his family and many friends. He will be lovingly remembered by his wife of 54 years, Nancy Crews Dougan (Winona Lake, Indiana); daughter: Lisa (Tim) Welling (Goshen, Indiana); six grandchildren: Joshua (Mariah)Welling, Nathan, Jeremy, Daniel and Renee Welling, and Soney (Shankar) Parajuli; one great-granddaughter: Shamiya Parajuli; and his brother: Jerry (Donna) Dougan (Madison, Indiana). He was preceded in death by his parents. Visitation will be held on Sunday, November 18, 2018 from 1:00 – 4:00 p.m. at Redpath-Fruth Funeral Home, 225 Argonne Road, Warsaw, Indiana. His funeral service will be conducted at 10:00 a.m. on Monday, November 19, 2018 at Winona Lake Grace Brethren Church, 1200 Kings Highway, Winona Lake, Indiana and officiated by Pastor Bruce Barlow. Burial will follow with a graveside service at Oakwood Cemetery of Warsaw.